In everything give thanks; for this is God`s will for you in Messiah Yeshua. For years I have made bento for my daughter. But today was the first time I blessed her bento!! Bento (弁当 bentō ?) is a single-portion takeout or home-packed meal common in Japanese cuisine. A traditional bento holds rice, fish or meat, with pickled or cooked vegetables, usually in a box-shaped container. * (from Wikipekia). Children have to take a bento lunch to school in kindergarten, high school, and for school outings. Bentos are also for special times like for cherry blossom viewing picnics, to take for work lunch, as well just for lunch to go. Bento are often wonderfully creative, there is a whole art to it, and you can see many of them if you search bento or `o-bento`. They really look like little boxes packed with the goodness and riches from God`s creation! When I was making my daughters bento this morning I put in some grapes. It was unusual yesterday to find affordable locally grown grapes at the supermarket, so I bought them! Usually fruits grown in Japan are very expensive. Grown-in-Japan grapes especially are usually reserved for special gifts, something to bring to others. Buying them for everyday use are almost prohibitive!! 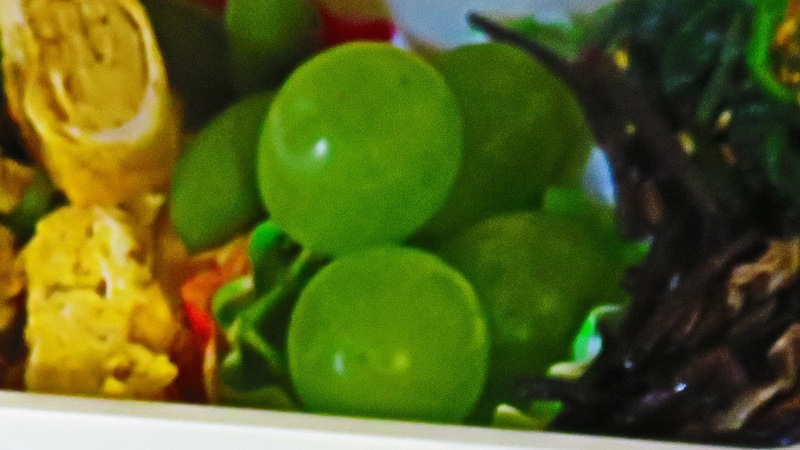 So when I put the grapes in the bento it felt very gorgeous, and of course the grapes made me think of Yeshua, because He is the vine. you just have to go and read John 15! 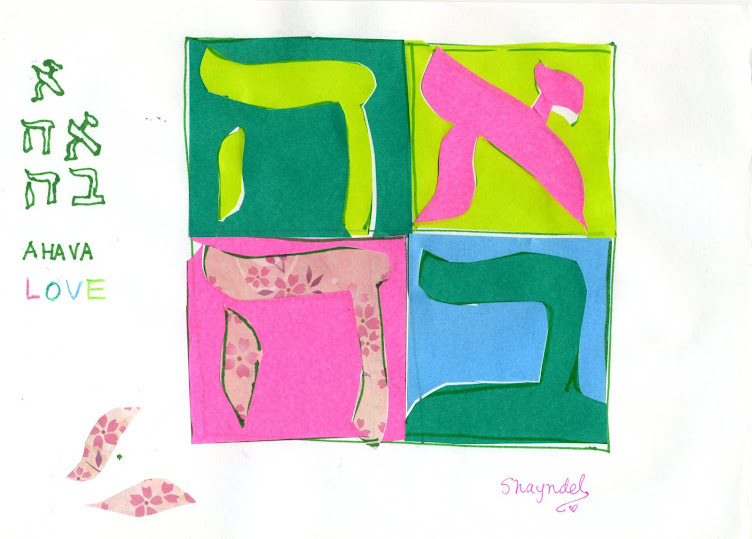 Before I closed the lid on the bento box to send it off with my daughter, I remembered the Hebrew blessings I am just learning. They are for all different occasions. There are different blessings for fruit, for grains, for bread, for wine and grape juice, and there is one that may be said before eating all other foods. The one I wanted to use for her bento was the blessing for all foods. Since the bento contains many kinds of food, I wanted to give thanks for all the many kinds of food that ADONAI, Lord our God and King of the Universe, blesses us with. "Blessed are You, Lord our God, King of the universe, through whose word everything is created." There are so many kinds of ingredients in one `o-bento`, even this simple one has tofu, spinach, chicken, carrots,sesame seeds, egg, hijiki (black seaweed), aburaage (fried tofu), edamame (green beans from branches), rice, nori (black seaweed), and todays special item, grapes!! A little insider secret, most mothers (including me!) make them everyday so they don`t often look like the ones that you will see when you click to see bentos!! Like today`s the everyday bento is usually put together with ingredients in the house and made with a mother`s heart of love. You might want to try making your own or for someone you love. Enjoy! Often you see bento referred to as `o-bento`.